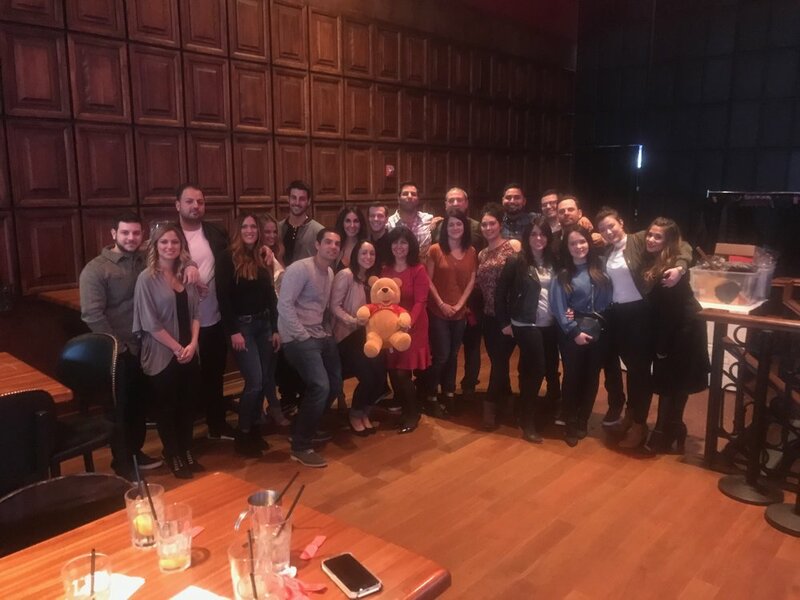 Many THANKS to everyone who attended the Alyssa Alvin Foundation for Hope’s 1st charity event of 2017 at the Old Crow Smokehouse River North in Chicago. Your participation in this event directly contributes to bring joy, hope and love to children and young adults being treated for cancer and other life threatening diseases. A special thank you to Daniel Guerrero (Alyssa’s cousin), who coordinated the whole event with Samantha, the Old Crow Smokehouse’s owner. Daniel sparked the idea of having a charity event at the Old Crow Smokehouse and he expended much effort in pulling this together. Thanks also go out to Samantha for providing the atrium on the 2nd floor, the delicious BBQ, mac & cheese and all the drinks for our guests. We want to express our appreciation to the donors, volunteers and winners of the silent auction and raffle items. Our donors for the auction and raffle items include: McVey & Parsky, LLC – John O’Halloran & John Coleman (Sox Ticket Package), Danny Guerrero (32” TV), Joe Demar (Bluetooth Sony speaker), Salon Buzz Certificate (Collin & Jordan), Cat & Dog Goody Bag (Amanda Rico), Oil painting by Christian F. Scalise, Kernel’s Gourmet Popcorn, Villa Verone Italian Restaurant, The Little Traveler & The Geneva Spice House. Our volunteers include: Rob Anderson (Photographer), Lupe Brueck (Raffle & Silent Auction Tables), Denise Cabrera (Registration Table), Alexis Guerrero (Raffle Ticket Sales), Carmen Ziegler & Sarah Ziegler (Alyssa Brochures). Thanks go out to the auction and raffle winners for their generous contributions to the Alyssa Alvin Foundation for Hope. Know that you are having an impact on a young life! With your help, we are giving HOPE to teens and young adult cancer patients through Music & Art. Take a look at the pictures. Everyone had a good time!